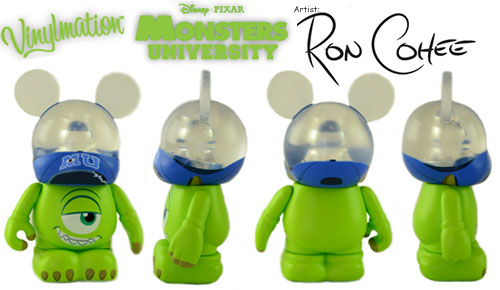 A 12 figure, mystery set based on the Disney Pixar movie Monsters University. It is mostly designed by Ron Cohee with one contribution by Thomas Scott. 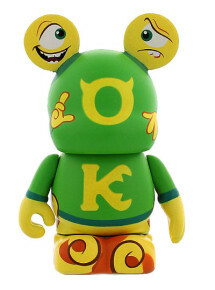 Overall, it is a well designed series by one of my favorite vinyl character artists. 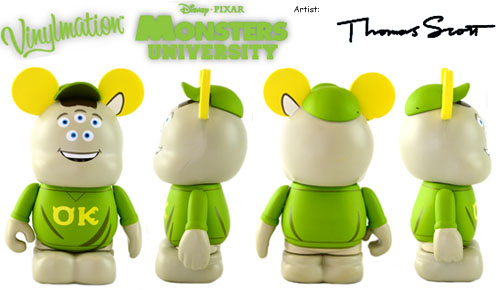 I am sure to have a stronger connection to some of the new Monsters U characters after watching the movie, but its hard to connect to a set like this before the movie is released. Mike and Sully and Randall and Sanderson look wonderful! Update 06/19/13 Apparently there was a production error with the Art figure. 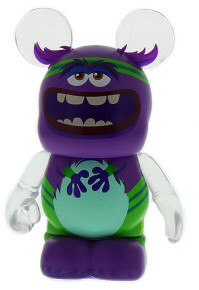 He was originally shown to have a clear see through body, however the figure actually produced has a solid color body. Disney admitted the mistake and has shown us the photo of the correct Art. However, some collectors have reported pulling the clear version. So it seems this one may be a rare unintentional “variant” of sorts. 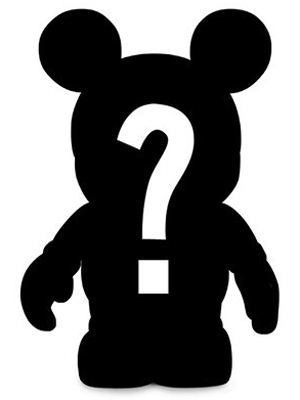 Update 06/18/13 The chaser and a variant have been revealed by Disney. First, the chaser is Terri and Terry Perry. Then, the variant is none other than the Scare Pig! 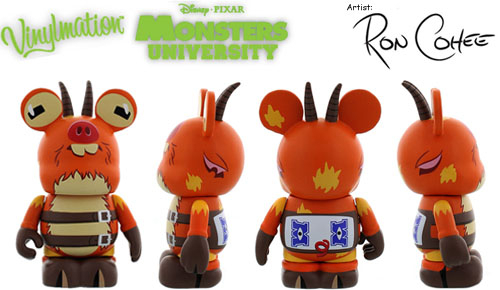 In the variant version, the Scare Pig has a Monsters U logo as opposed to Fear Tech. 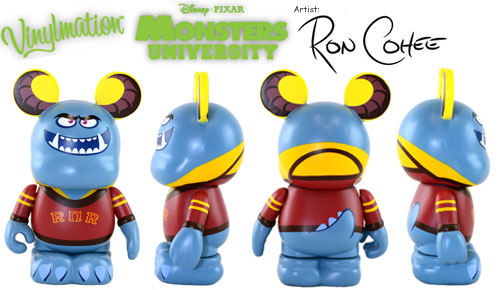 In the movie, I believe he is the mascot of FT. I’m sure the MU logo variant refers to a plot point in the movie. I got the scare pig variant before I knew there was a variant. I was gonna trade it after opening it in the Disney Store trade box, but didn’t see anything I wanted instead. Good thing I didn’t!